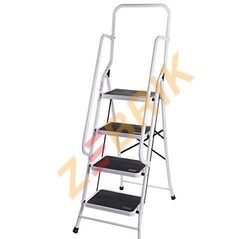 Providing you the best range of aluminum tower ladder rental services, tower ladder hire, tiltable mobile tower ladder hire, tower extension ladder hire and baby ladder on hire with effective & timely delivery. 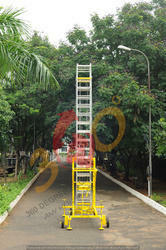 We are a offering Aluminum Tower Ladder Rental Services in chennai and supplying our products to All over India. 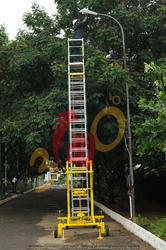 We are offering Tower Ladder Hire for rental in chennai and supplying our products to all over south India for Rental. With well experience in the same industry we are supplying quality products to our customer. Owing to their distinctive features, these find wide applications in diverse industrial and commercial areas. Further, these are available in customized designs as per varied requirements of clients. 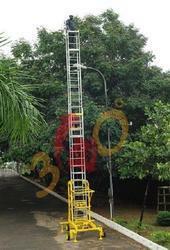 We are offering Tiltable Mobile Tower Ladder Hire in chennai and supplying our products to all over south India for Rental . With well experience in the same industry we are supplying quality products to our customer. Owing to their distinctive features, these find wide applications in diverse industrial and commercial areas. Further, these are available in customized designs as per varied requirements of clients. We are offering Tower Extension Ladder Hire in chennai and supplying our products to all over south India for sale and rental. With well experience in the same industry we are supplying quality products to our customer. Owing to their distinctive features, these find wide applications in diverse industrial and commercial areas. Further, these are available in customized designs as per varied requirements of clients. Looking for Tower Ladder on Hire ?